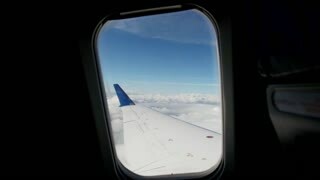 View from the window in the plane to sky and clouds. Traveling by air concept. 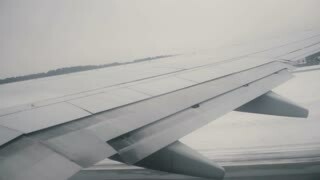 Close-up view of wing of an airplane. 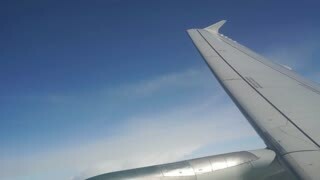 View from the airplane window to the wing of plane. 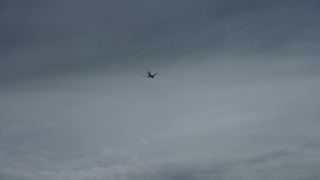 The plane is riding through the runway, flying on the clouds. 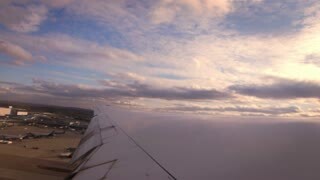 View from the airplane window to the wing of plane. 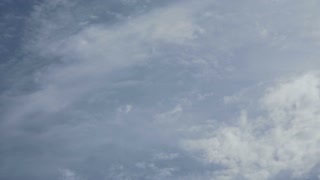 Vehicle flying through the clouds on the sky. 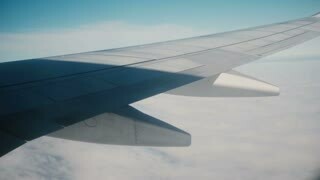 Shadow on the wing. Travel concept. 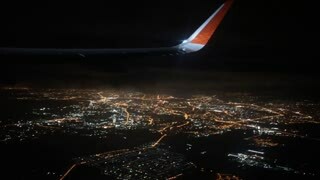 View from airplane window. 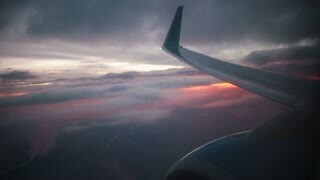 Wing of plane and night sky. 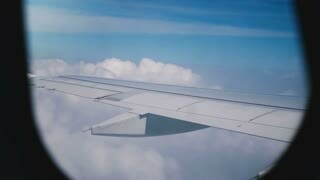 Majestic peaceful view from airplane window seat in-flight, plane wing flying above amazing white clouds in blue sky.